Some people think of blackjack as a game based on luck. Nothing could be further from the truth. There is a lot of mathematical and statistical knowledge involved in blackjack and using it in your playing strategy can greatly increase your chances of winning. The game utilizes an understanding of probability, statistics and game theory. In fact, so much mathematics can be involved that entire books have been written describing blackjack basic strategies and calculations. One of the most famous books, by Thorp, discusses what the author calls the Basic Strategy which extensively tells you which moves to make when. Two other useful techniques are card counting and probability statistics. Card counting is the most widely practiced blackjack mathematics technique. This is possible in live blackjack, which typically uses a 6-deck shoe, because every time cards are dealt, you can keep track of which are already gone. There are extensive card counting techniques that really make sure you can keep a good track of the cards. 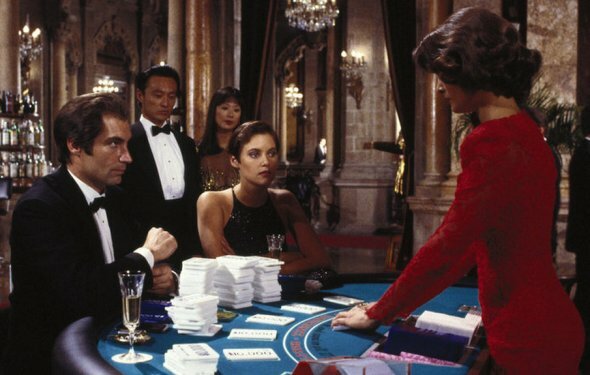 Since none of us have the perfect memory of Raymond, Tom Cruise’s autistic brother in the movie Rain Man, played by Dustin Hoffman, we have to rely on these techniques to ensure “proper” card counting. One of the strategies developed to win at blackjack while using card counting is called the Hi-Lo strategy, propagated by most professional players. Using the Hi-Lo blackjack calculation system, all the cards are assigned values of +1, 0 and -1 depending on their real value in the game itself. Cards numbered 2–6 are called low cards and assigned a value of +1. Aces, 10s, Jacks, Queens, and Kings are assigned a value of -1 and are called high cards. The remaining cards (7, 8, 9) are neutral and get a value of 0. Each time cards are dealt out, you can add their values up quickly, and keep track in this way easily. The greater your number becomes, the larger the number of high cards are remaining in the deck. This makes your decision making that much easier with regards to hitting and standing, as well as when it’s best to split and double down. Then there is probability, which is calculating the chance of winning and losing. This comes in very handy while playing and placing blackjack bets. These also have been widely discussed and studied. First, the number of possible combinations of two cards in a hand are caluclated. Next, the possibility of a blackjack coming up is calculated (it’s equal to the number of outcomes with blackjack/ total number of possible outcomes).